Chalcedony is considered as a member of the quartz family. It is used to balance the energy of the body,mind, emotions, and spirit. It symbolizes benevolence and good will, the benevolence stemming from the nurturing energy within the stone. It alleviates hostilities, irritability, and melancholy. it enhances generosity, responsiveness, and receptivity. It was a scared stone to the native americans which promoted stability during ceremonies. It provides a pathway to receive thought transmission. Stilbite connects your heart chakra with the upper chakras. 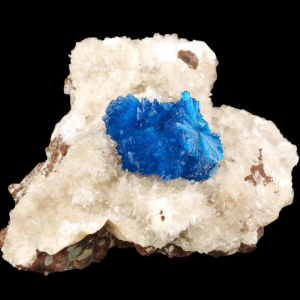 This connection of stilbite allows us to tap into our creativity, using the throat chakra it allows one to bring love and openness to their creative flow. Stilbite helps with psychic guidance and creativity. Mentally stilbite will help to de-clutter one’s mind, it also helps one to focus on which tasks are most important to take on first. 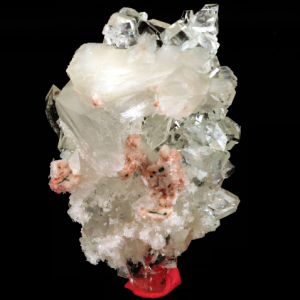 Stilbite allows the person to be free from too many external influences including fear, and assists one in making decisions and choices that are correct for the evolvement of this person’s spiritual path. Apophyllite – This powerful vibrational transmitter is a stone of truth that corrects imbalances and brings recognition of one’s true self. It releases mental blocks and negative thought patterns, making it a very effective personal power crystal. 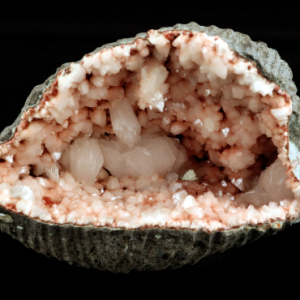 Apophyllite is used in Reiki, meditation, and crystal healing. Its high energy conductivity makes it a perfect stone for this purpose. The naturally formed pyramids help to magnify and focus energy. 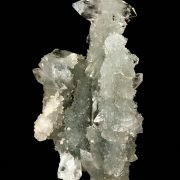 Apophyllite is used to establish connection with higher realms. It is believed to create a conscious link between the material world and the spiritual sphere. 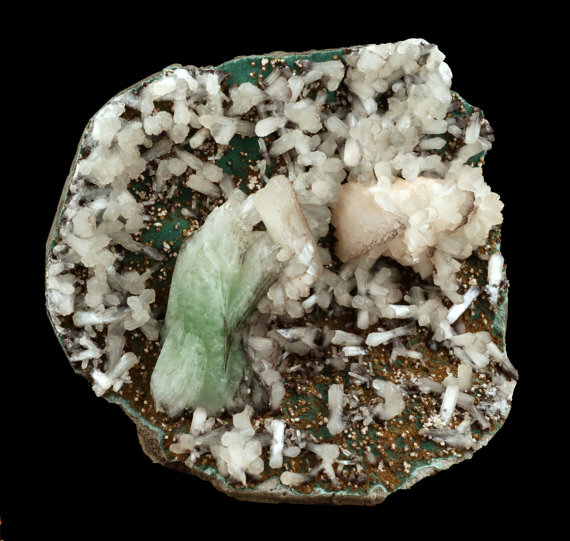 In addition to resonating with the Third Eye and Crown Chakras, Green Apophyllite also resonates with the Heart Chakra. Apophyllite is useful for balancing the energy of the body, mind, emotions and spirit. It can be used to improve the assimilation of minerals and to help fight buildup of materials in the veins. It increases mental stability. Stilbite can be used to treat loss of taste, Brain disorders, strengthen ligaments. Also used to fix pigmentations of skin, and to counteract poisoning by providing for enhanced toxin removal capabilities. It is useful for balancing the energy of the body, mind, emotions and spirit. It can be used to improve the assimilation of minerals and to help fight buildup of materials in the veins. It increases mental stability.